I’m Jen and I’ve been sewing for people for years. I have traveled all over the world gathering inspiration and ideas for my designs and patterns. From Korea, and China, Japan, to North America, England and France, I have found many cultural and historical elements to guide my interest and creativity. And LOTS of sewing with military uniforms. In fact, through that- I developed my Seamingly Accurateseam guide. The seam guide was released at the Houston Quilt Market in2008. It has had a great response from the sewing community andreplaces the need for sharpie or tape on your sewing machine. TheSeamingly Accurate guide is distributed by QuiltWoman.com And since restarting the “word of mouth” sewing business istricky with every military move, I’ve decided to branch out intopatterns- a business which I can take anywhere. I have recentlymarried my two areas of work and now have sewing patterns, quiltingpatterns AND patterns for sewing with military uniforms. I do stillsew commission work on the side and I’m always up to receive militaryuniform donations. I’m also lucky enough to have the opportunity to dothe technical writing for Art Gallery Fabrics handbag patterns. I’vehad a few projects in magazines, including Quilt Scene last October. Irun my design blog which often has projects I’m working on, and like most sewing blogs, I have a collection of tutorials and tips. For one reader Jen has a collection of patterns and Seamingly Accurate! 1 – Leave a comment on this post. 3 -Subscribe to Jen’s blog, and leave a comment letting me know. Four chances to win! Good luck to each of you – I will select a winner on Monday, April 12. PS – Please leave a comment for each entry, all entries must be made in the form of a comment, not an email – Thank you! I love her grocery tote! I subscribe to Jen's blog through Google Reader! I love what she's done with some of the military uniforms (military spouse here), but I'm also bag crazy and her bags are absolutely adorable! I love her grocery bags! I subscribe to her blog. Love the patterns, really like that bag, very clever!! I love her grocery tote. I will be posting her give away on my blog and I will become a Jen follower. I like the patterns featuring circles. So different and softer than most quilt patterns. I also think the Seemingly Accurate guide is a great idea! Love the applique circle based patterns! I would love to try any of them. Thanks! Hi again… I just signed up as a google reader follower. Thanks!! Just subscribed to Jen's blog through my Google reader. I love that geisha throw pillow cover! So simple it let's the fabric speak for itself. I love love love the Lucky 13 bags! I am intrigued by the cube bag. It looks neat! Oh Seamingly Accurate!! Love to try it! I absolutely love the half-square triangle pattern. They are my favorite! I would love to have that pattern. I'll go check out her site & may have to buy it if I don't win. I'm a follower of Jen's blog! Oops! I already told you my favorite – http://www.reannalilydesigns.com/RD2020HSTJubileeFrontBACKWEBlrg.jpg. Oh I would love to win this. I have been looking at and loving the half square triangle jubilee. I'd love to win this one! Anything to help me get accurate. I think my favorite thing is the Seamingly Accurate. Well, I guess my favorite is in the giveaway!! I love the half square triangle jubilee. I just hope I am able to chose the right fabrics to make mine pop like jen's. What a great giveaway from a talented lady! I'd love to win this. I am follower of her blog and facebook. …and I like her cube bag with the handles. Very practical storage/portable storage. Jen sounds like a really creative person. I will definitely check out her blog. I am very happy that you have the kinda hobby/job that takes you all over the world, how exciting! I have sewn some items for the navy via my nabor,, it was fun and profitable! My favorite item on Jen's site is a pattern called "Baby Boxes". Lots of cute stuff but I have to say that I absolutely love the featured in the 2nd pic (from the left) on her Etsy home page…too cute! My favorite pattern on her site is Woven Comfort. I went to Jen's shop and I am very interested in the Seamingly Accurate tool. that cube bag is so fabulous! Thanks for the chance to win! I have subscribed to Jen's blog. I have already learned a neat tip from her. Thanks for the giveaway and the introduction to Jen. I really like the Adjustable Apron. I'm really enjoying these interviews you're doing. It's great to meet and read about so many fantastic people making a living from sewing. I checked out Jen's shop, and I'd love a Seamingly accurate to stick on my sewing machine, what a great idea! I also really like the box bag. I'm a new follower of Jen's too. Blogged about the giveaway in my sidebar. I really like her Teddy Bear circle quilt. i would love to win some patterns! i have soo many fabrics at home and i need new projects to make with them! i love that grocery tote! I have added Jen's blog to my Google Reader! 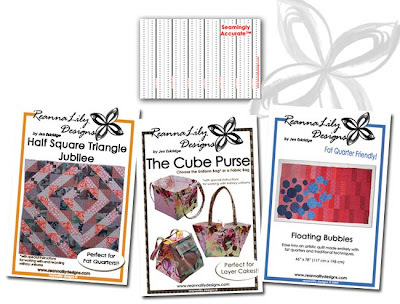 Would love to win the Half Square Triangle Jubilee pattern. Looks like a fun pattern! I really love what you have done with your blog and find it refreshing all the interviews you do. I really love her Floating Bubble Quilt. I have also subscribed to Jen's blog. I really like the Cube Purse!! All the patterns are wonderful! I love the Cube Purse! Love the cube purse pattern. What a great tool for making accurate seams! Fun! I love new patterns! I love the Seamingly Accurate – I'm always guessing. The Teddy Bear Circles pattern is cute too! I just create my first blog a few minutes ago and I am very excited about it. And the best of all is that I really want to be the one who wins thi time, I love all her works. I really love the cube purse I thought it was so pretty! And now I am going to learn how to make those. Thank you for showing the cube purse on your site. What a generous giveaway! Thanks so much for the chance to win. I loved her interlocking squares pattern and would love to try her apron pattern. I also can't wait to check out some of her tutorials. Thanks for the link to a great site. I gotta say, the Army Cube Style Purse is adorable!! I would love to make one for my mom, shed think it was GREAT!!! I love ReannaLily Designs!! Thanks for sending me this blog. I signed up as a subscriber and my favorite thing is her amazing tutorials! Can't wait to try the braided quilt technique on her site. I'm going back to read more. I have been following Jen's blog for awhile. Love what creates. I love the 3-D Quilt. The blocks just seem to float. So that's the person behind Seamingly Accurate! 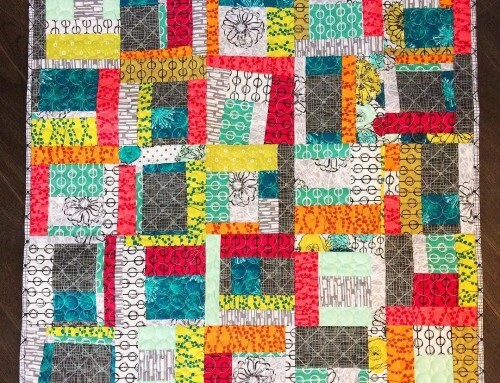 I love love love the Cool Water quilt pattern…oh my. thanks for a chance to win some great patterns! Love Floral Party and Boxed In! I had never seen the Seamingly Accurate before…. a very interesting idea! Oh I love the Woven Comfort pattern, That is so cool & would make a great guy quilt! And the Seamingly perfect tool is great, too! Here's number 1 – my comment. Thanks for another interesting interview and great giveaway. Here's number 2 – my favourite is her "Geese Fury" pattern. And number 3 – I've become a follower of her blog. Oh what an awesome give away! Thanks for doing the giveaway! 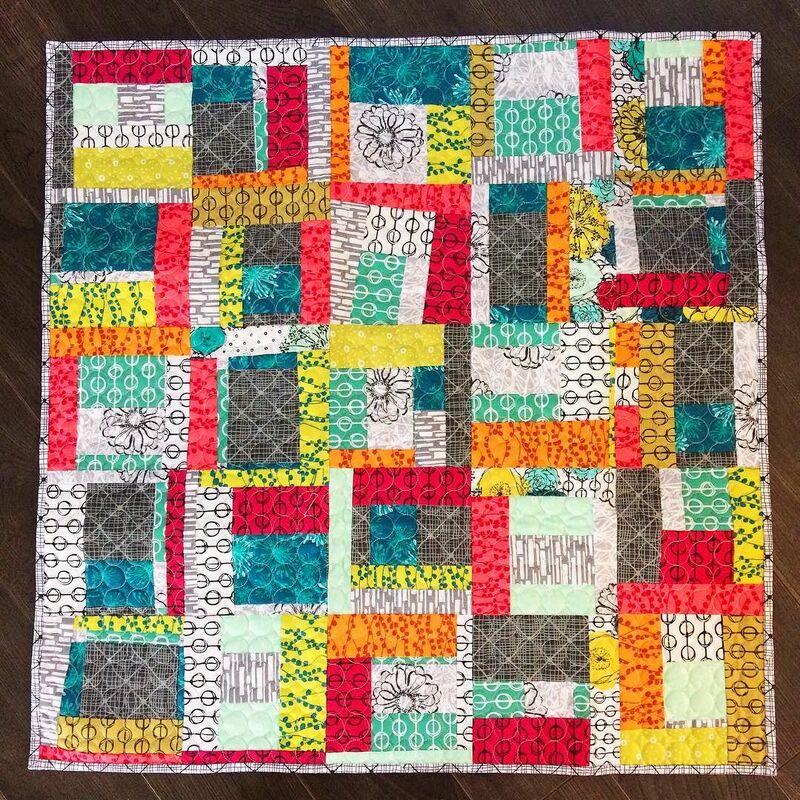 I think my favorite item has to be the Half Square triangle Jubilee pattern… mostly because it's great to use with fat quarters! I like the cube purse pattern. It looks roomy enough and I have wanted to try that kind of pattern for a while. Thanks for the chance! Thanks for hosting a giveaway. I love being introduced to a new blog this way. Can't wait to see more. Thanks for the chance! I would love to try her Seamingly Accurate! I love the Woven Comfort pattern! I subscribe to Jen's blog. My favorite pattern is the Half Square Triangle Jubileee, followed by the Bubbles circle quilt pattern. Please enter me in your giveaway. I going to check out her patterns! They are right up my alley!! Can't decide what is my favorite, The Cube Purse or The quilted Party Tray. It is a toss up! The bubbles quilt loiks fun! I like the cube bag! I'm a follower on Google Reader. thanks for the chance to win these great patterns!! well done for everything you did- jen! I love the half square triangle jubilee quilt – I want to make one! Thanks for the chance to win, great giveaway! I need to check all this out, don't I? I like the book bag in her shop. I really liked all the bags! They were all so adorable! 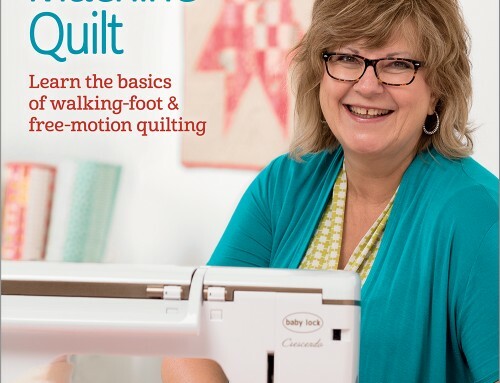 WOW awesome giveaway, I could really use the seamingly accurate, I struggle with 1/4" seams AL THE TIME, I even bought a 1/4" presserfoot, that helps some. Thanks for the opportunity to win it. Awesome! This is what I have been needing forever! Love the patterns, too. Thank you for the lovely giveaway. I'd absolutely love to be entered.